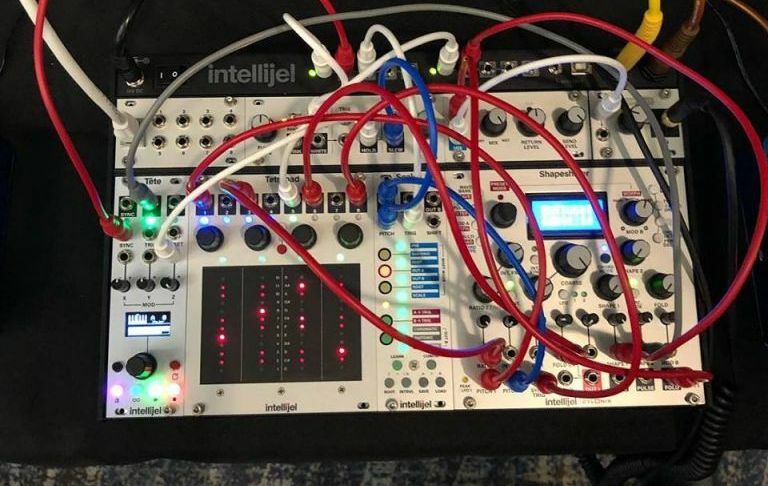 Synthplex is the trade show dedicated to all-things-synthesizer, from modular to digital. Here’s our top five releases from this year. 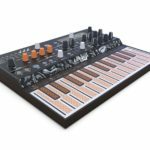 NAMM saw a huge variety of new synths being released from some of the bigger players in the market, leaving space for some of the more boutique brands to shine at Synthplex. 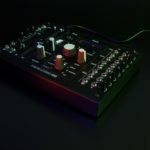 The focus here leans towards the Eurorack modular world, however 1010Music just announced an incredible standalone workstation. 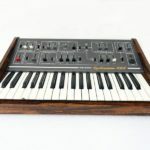 Let’s look at some of our other favourites from this year’s Synthplex. 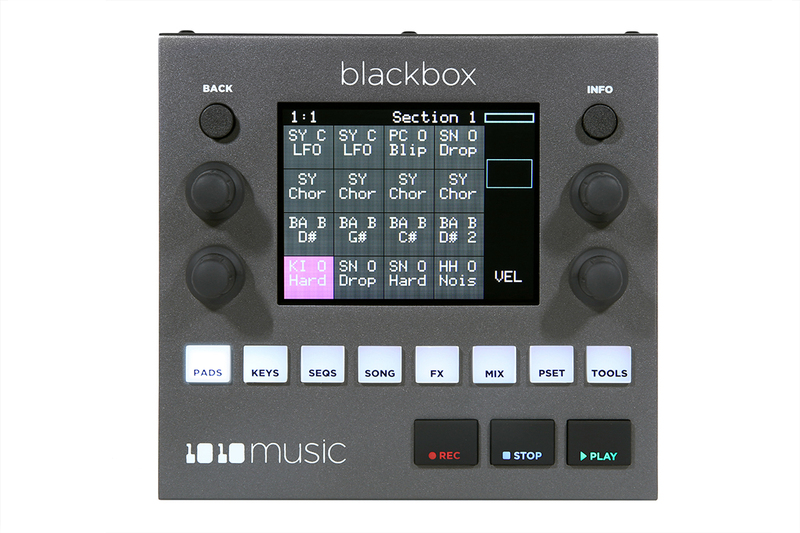 The 1010Music Blackbox is an incredibly intuitive standalone Sampler and Groovebox based around a touch-screen and variety of I/O. The Blackbox features three-line outputs, a headphone output and an input for sampling from various sources. It’s also got 3.5mm TRS MIDI I/O, USB Device (for a USB MIDI controller) and a USB port for power. 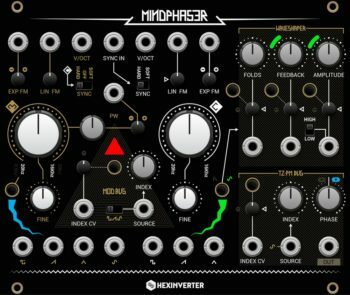 The Hexinverter Mindphaser is an analog complex oscillator for Eurorack modular setups. 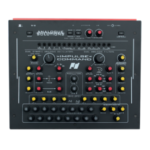 What sets it apart from the competition is the incredibly intuitive layout and huge variety of internal modulation and processing capabilities. 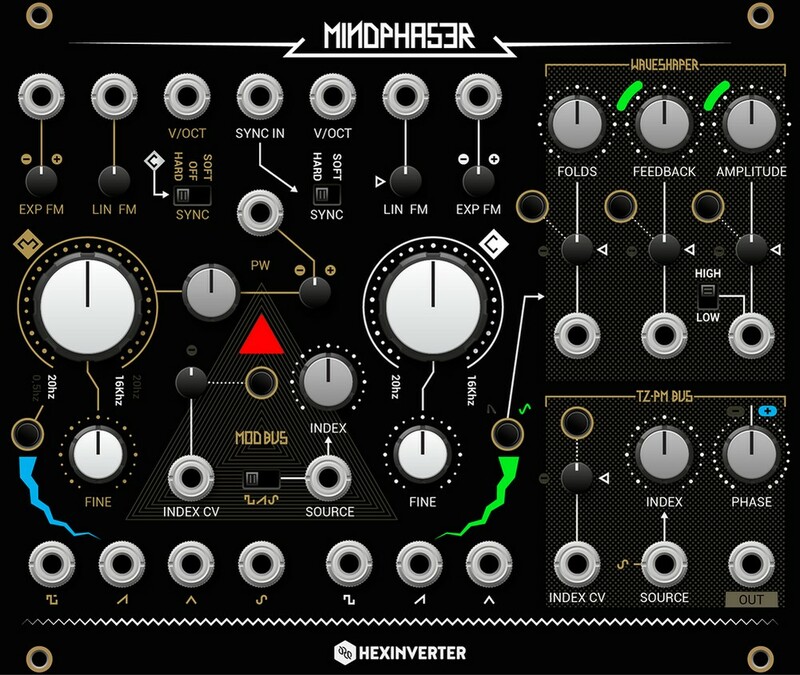 The Mindphaser features two oscillators (each unique in their own way) and an internal waveshaper, capable of folding harmonics up to 5 octaves above the fundamental. 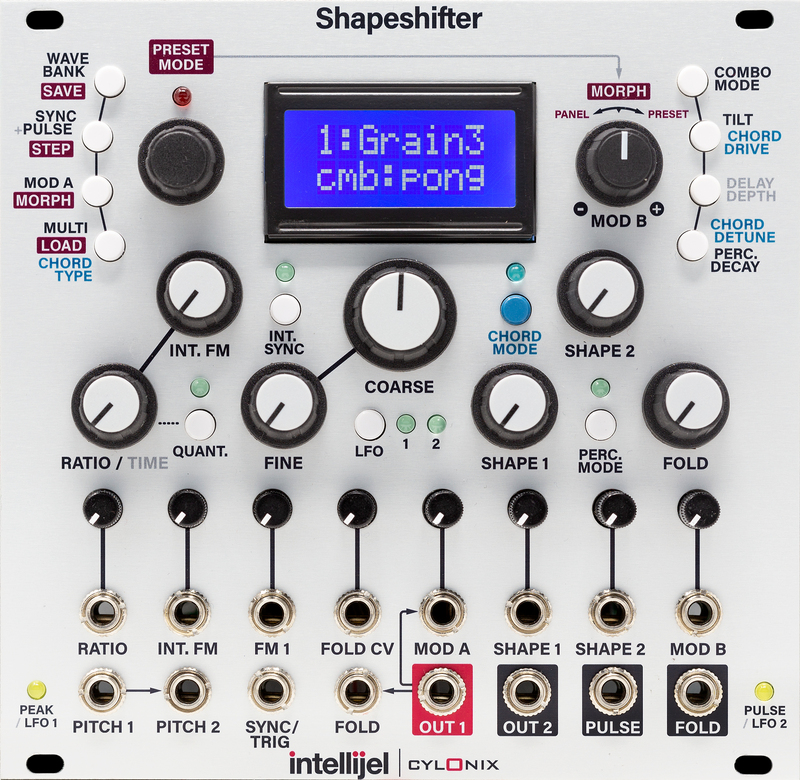 The waveshaper has its own internal feedback and various other settings for wild experimentations. 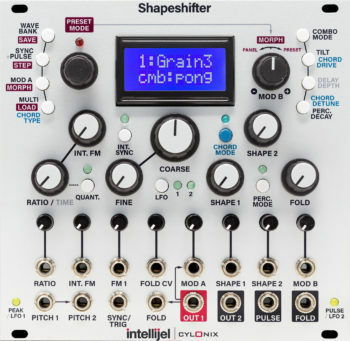 This single module can do everything from classic FM, AM, wavefolding and a very-unique “thru-zero” phase modulation, and the best part is that it’s internally normalled – similar to how a semi-modular synth is pre-wired inside the box, so no need for patch cables to get the full functionality from this complex module. 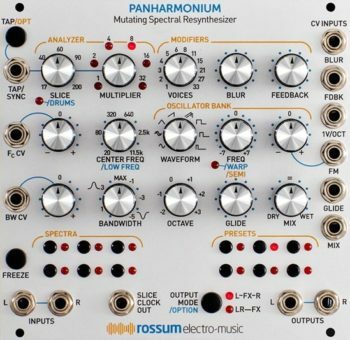 The Panharmonium is a “mutating spectral resynthesizer” for Eurorack modular setups- in short, it takes the spectral content of an audio input and constructs a new sound based on various parameters. 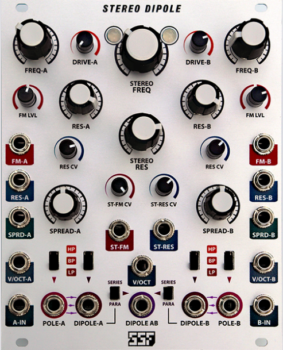 It works using a bank of additive oscillators and you have control over the resolution of the sound by selecting the number of oscillators which are generating the sound – from 1 to 33. Unlike a lot of Eurorack modules, the Panharmonium is capable of saving snapshots or presets of your spectral content or the entire modules settings. 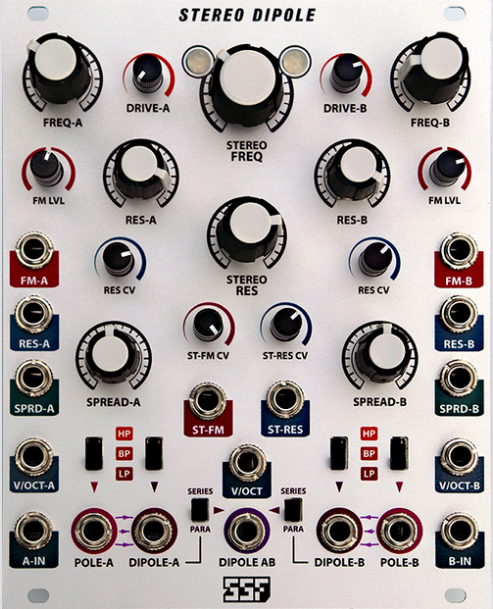 The SSF Stereo DiPole is a quad state-variable filter, similar to the also recently-released MakeNoise QPAS although with its set of unique features. While the QPAS is focused more on the resonant characteristics of the sum of the filters, the Stereo DiPole offers a degree of independence for each of the filter cores. 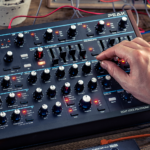 The QPAS extends outside of the realm of traditional filters while the SSF Stereo DiPole seems to sway more towards the traditional side of things. 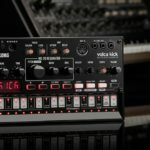 That’s not to say it’s incapable of producing some wild sounds, when you crank the resonance – it oscillates, you’ve got an FM input and various macro controls over the two independent “voices”.